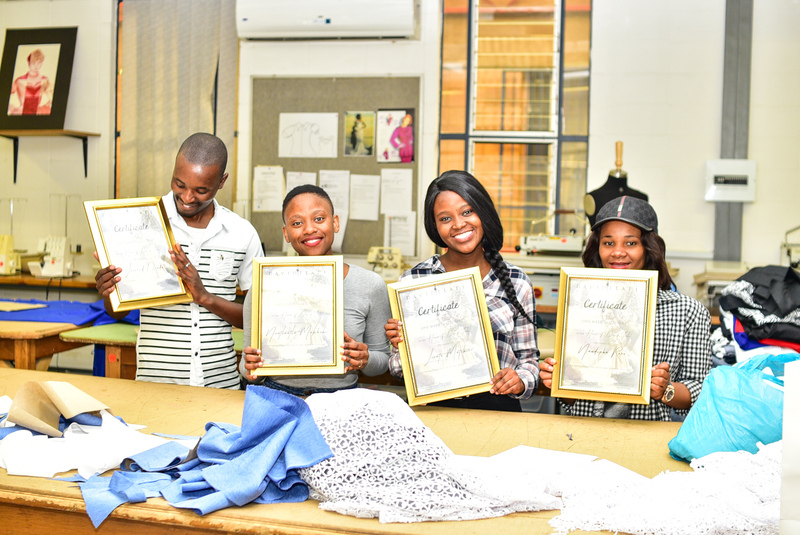 It was a dream come true for four fashion students, who were invited to spend a week working as interns with fashion icon and VUT alumnus, David Tlale. 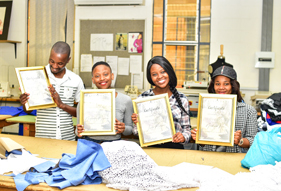 Third-year fashion students Miss Nandipha Roro, Miss Lerato Matebesi, Miss Nonhlanhla Makhubu and Mr Leonard Dende took up the fantastic opportunity to learn more, and get first-hand experience of what goes on behind the scenes in making a fashion show a success. Their duties varied from making patterns, cutting and embellishing garments, to fitting models. They shared, that in the beginning it was hard to adjust to the working hours, but they soon adapted with the help of Mr Tlale and his staff, who were very welcoming and helpful. Long working hours are a norm in the fashion industry and they were able to see this first hand. Seeing the show coming together and seeing the work they helped create coming to life made their time all worthwhile. They were also able to learn new techniques and short cuts, that will stand them in good stead as they pursue their fashion careers. “You can have an idea on paper, but seeing it come to life is even more breath-taking considering the time and effort that went into creating it,” said Miss Makhubu. They shared their gratitude towards their lecturer Mrs Sandra Hugo:” Thank you for the opportunity and all your efforts, we are proud to have you as our mother of fashion,” they said.